This post contains affiliate and/ or referral links. So, this was the one subscription box that delivered this month! 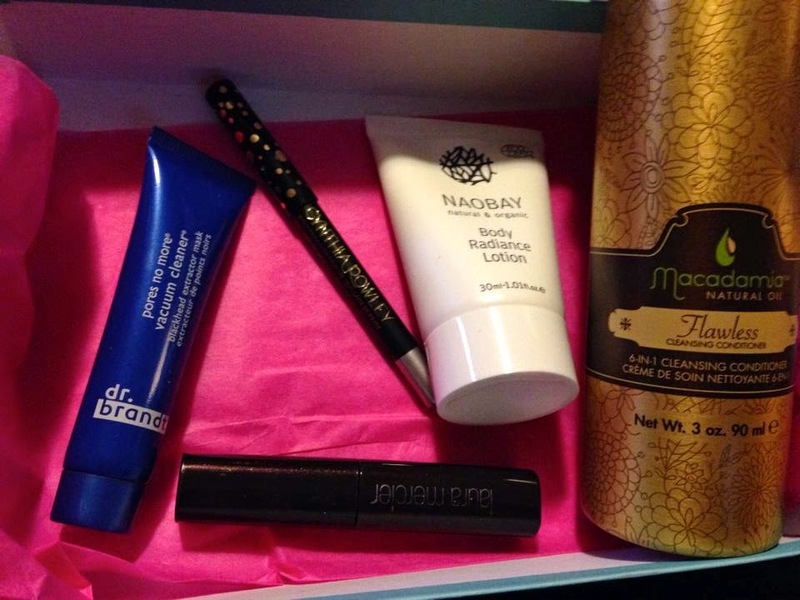 I LOVED my BirchBox, and for only $10 a month, it was VERY worth it this month! So, Birchbox has been doing something a little different the past few months. They allow you to choose on product for your box. For September, I actually chose my entire box, which was the Fashionista box. So, I guess I knew I would love it before it even arrived. Laura Mercier Full Blown Volume Lash Building Mascara Mini (.2 oz): Amazon value, $12.95. So this was one of the main reasons I chose this box. I LOVE LOVE LOVE this mascara, so I had to have it. Cynthia Rowley Silver Eyeliner (.03 oz): Web value, $10.00. I am warming up to this eyeliner. I usually do not wear silver, but I am kind of liking it for a Fall look. Naobay Body Radiance Lotion (1.01 oz): Web value, $2.88. I am not loving this lotion, but it is a small bottle that is nice to carry in my handbag or to stash in my desk. Dr. Brandt Pores No More Mask (.25 oz): Web value, $6.25. I am actually looking forward to trying this. I have had a blackhead problem on my nose and I hope this clears it up. Macademia Flawless Cleansing Conditioner (3 oz): Amazon value, $5.43. This is the one item I was not sure of when I chose this box. I am not a cleansing conditioner kind of person, so I will probably trade it. One of the BEST things about Birchbox is that it is CHEAP at only $10 a month. PLUS there are almost always coupon codes. Right now, you can use code BBKIWI100 and you will get 100 points which is $10 to spend in the Birchbox store! That is like getting the box for FREE! But (and you know this if you already get Birchbox) that is not ALL-- each month you can review the items in your box for 10 points for item. This past month I got 5 items, which means I got 50 points total for reviewing-- meaning that I got $5 back to spend in the Birchbox store!!!! This post contains referral and/ or affiliate links. MamaBreak may receive compensation based on clickthrus on this post. We only recommend products we LOVE.